To all the Moms out there Happy Mother’s Day! In honor of the hardest working women, here is a cake that will go perfectly with your morning cup of coffee and gossip magazine. Isn’t that what the weekend is for? Sugary carbs for breakfast. Speaking of weekend, I just love looking through the different categories on Pinterest, especially food. 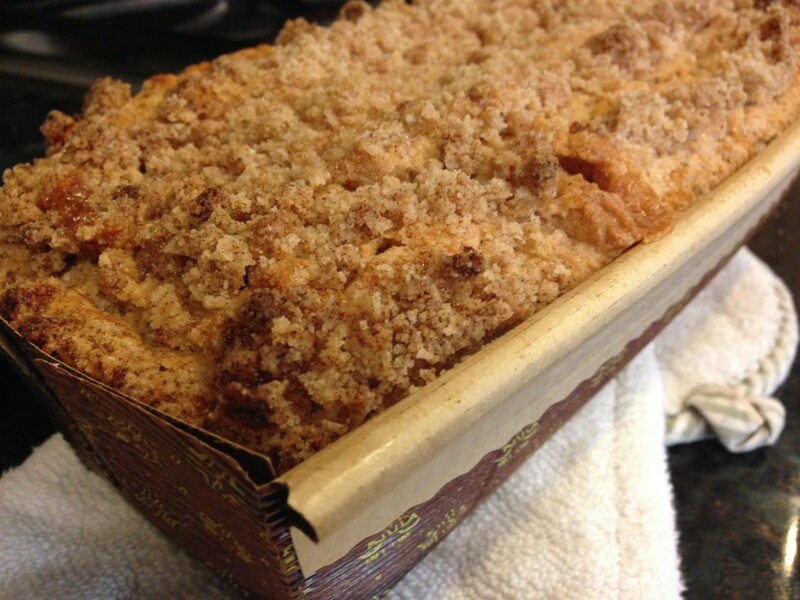 As I scrolled I came across a banana bread with crumb topping from the blogger littlebitsof.com on Pinterest that looked delicious. I had to pin it. The recipe was not gluten free, or dairy free, but that didn’t stop me from pinning it. All those recipes that look too good to resist go straight into my “Inspired to make gluten and dairy free (and soy free to be exact)” board. You have to come visit me on Pinterest and see all those pretty pics. So when my lingering bananas turned brown I went for it. I gave it a try. And this one is nut free! I was a little anxious that it took longer to bake than the recipe indicated. I tested the loaves and cake every three minutes after the original recipe baking time, until it had the perfect crumb on the toothpick. Being that the cake is much higher than the original recipe, it took more time. If I split the batter into two cake pans I would not have had to bake it as long, but I was going for a mile-high looking banana bread. 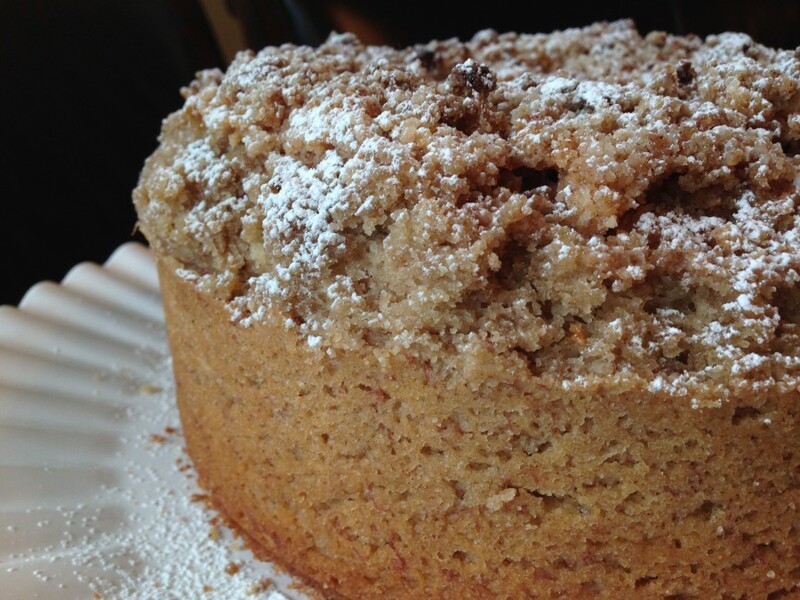 Okay, I really wanted to make it more of a banana cake with a streusel crumb on top. But you already knew that. Why did I make so much since this was an experiment, you ask? I ask myself the same question. Could it be that risk-taking rebel in me, or maybe because I had to try some before I served it. We don’t want to serve anything but perfection, right?? And taste, I did. More than I should. More than should be allowed. This was so moist, full of banana flavor and cinnamon. 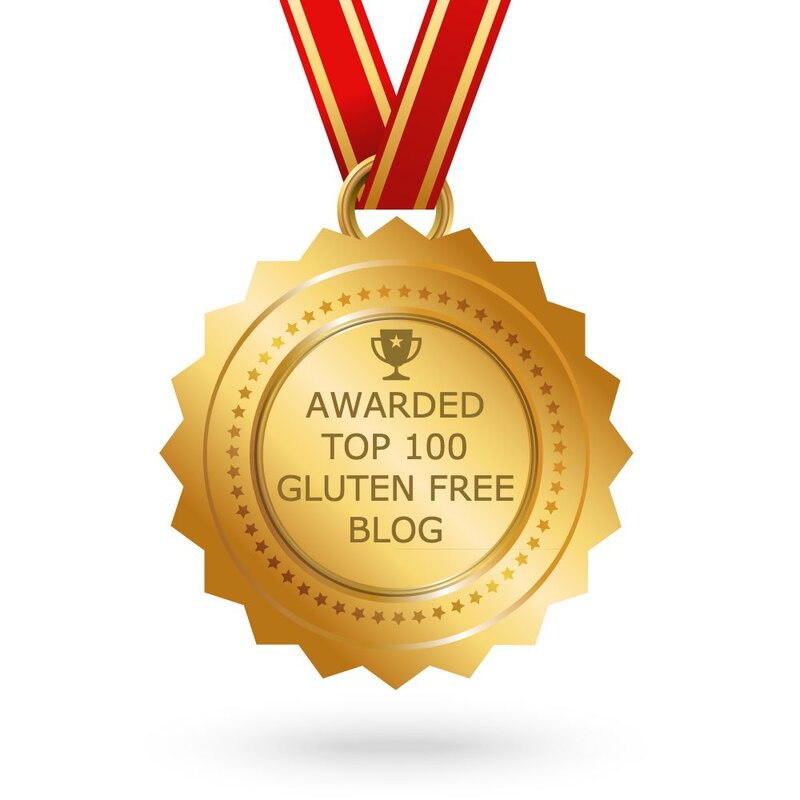 No detection that we have an allergen-free recipe here. You are going to LOVE this recipe. I hope nobody noticed that I was picking pieces of streusel crumbs before serving. Don’t even tell them it’s gluten free and dairy free, they won’t notice. You know that hesitant family member who balks at the thought of eating allergen free because of it’s “tastes like cardboard” reputation? Well, give ‘em a slice of this and just wait for the reaction. Your welcome (wink,wink). This recipe will surely impress Mom, or Mom-In-Law. Or make it for yourself, it’s all good, I won’t tell. Lightly grease 2 loaf or 9 inch cake springform pan with removable side (I doubled the recipe to make one of each). Set aside. Note: To prevent aluminum exposure I place a greased pre-cut parchment round on the bottom and cut pieces of parchment paper to cover the sides. I do these extra steps when there are no ceramic or glass options for the bakeware. If you know of any please email me! In a stand mixer, fitted with a paddle attachment on medium speed, beat the egg, sugar, and vanilla until well combined. Add the earth balance and beat another minute until smooth. Add the coconut yogurt, apple cider vinegar, and mashed bananas. Beat until just combined. 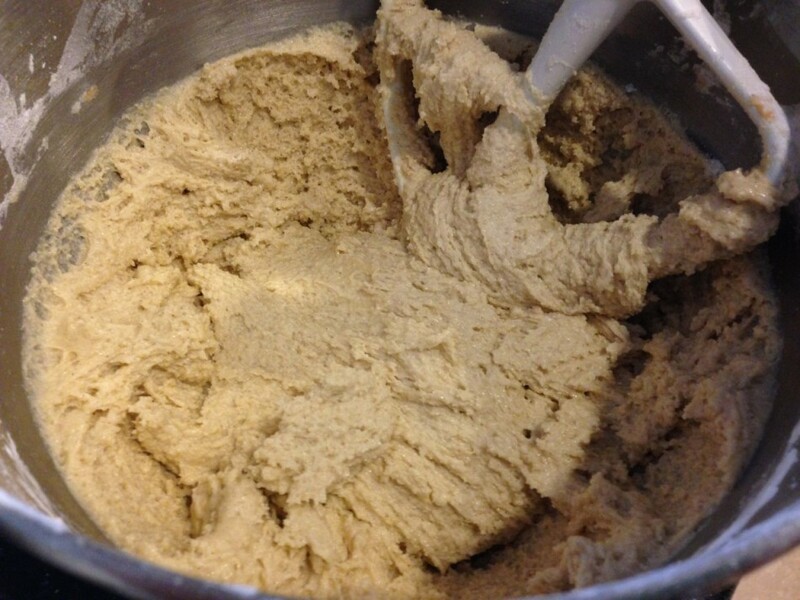 In another bowl, whisk together the flour, kosher salt, baking soda, baking powder, and cinnamon. Slowly add the dry ingredients into the batter, mix until just combined. Pour batter in loaves or cake pan, spread evenly. Set aside. Batter texture is looking good. Always a good sign in our gluten free/dairy free world. Combine the powdered sugar, flours, earth balance, cinnamon, and salt. 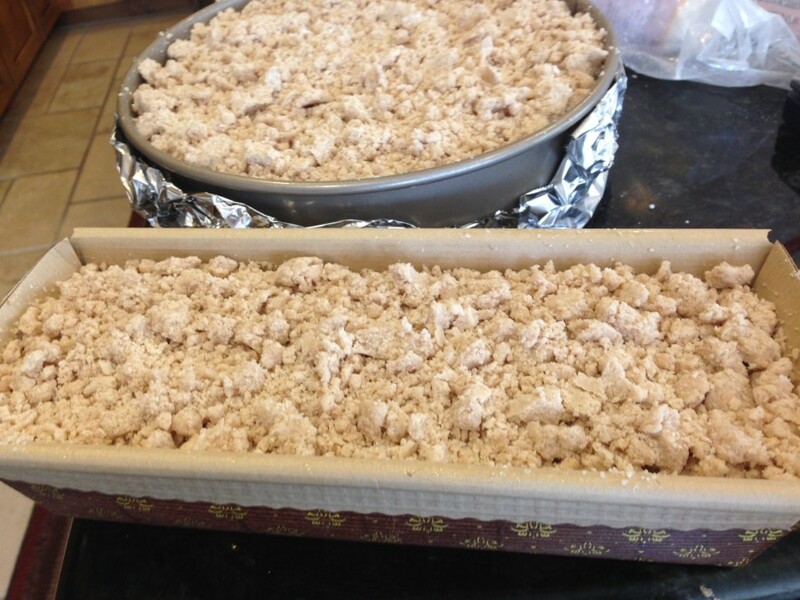 Using your hands, crumble the mixture until the softened earth balance has been fully incorporated. The mixture should feel more on the dry side than wet. If it has become greasy and sticky add a tablespoon at a time of powdered sugar, until it has a crumb texture. Crumble the mixture over your batter in the loaf and/or pan. Wrap aluminum foil under the cake pan so that there aren’t any dripping during baking. Slowly transfer your cake to a baking sheet pan. The loaf pans do not need to be placed on a baking sheet. Bake the loaves for 55-60 minutes, or until a toothpick comes out clean. Bake the round cake for 75-80 minutes, or until a tooth pick comes out clean. The top of the cake did brown a bit here and there, which makes for crispier texture that we like. 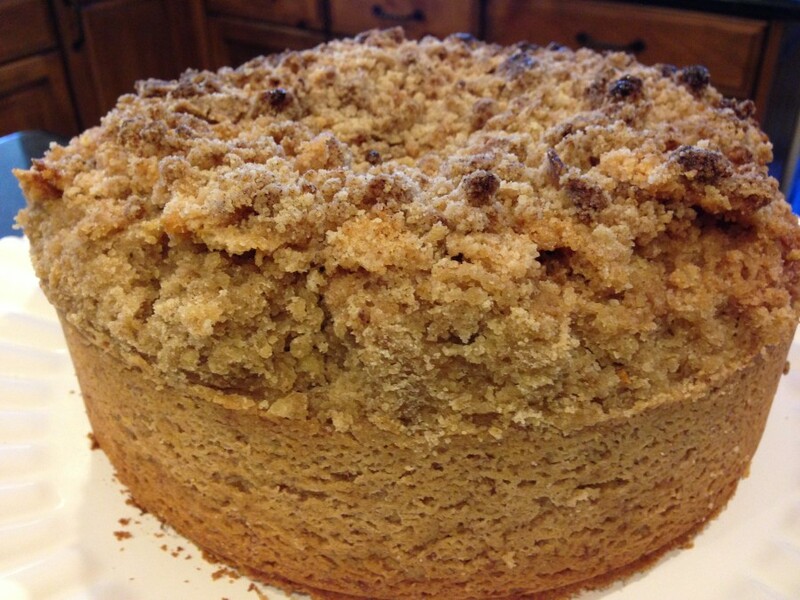 If you don’t like crispier browned streusel bits, and prefer a wetter crumb, then just pull it out 5 minutes before. I bake the cake and loaves to have a cake consistency. You want a little crumb on your toothpick so that it’s not dry. Let it cool for 15-20 minutes before transferring to a cake platter. Sprinkle powdered sugar over the cooled cake. Serve room temperature. And now some powdered sugar on top. Serve immediately. I came across your blog while looking for a gluten free dairy free banana cake and baked it today. I didn't have banana flavoring so I used almond and it came out great. My husband was impressed lol! I baked this today and everyone love it! Some of my friends couldn't believe it was gluten and dairy free!!! This looks so outrageously yummy! Can I substitute the eggs for more banana or something? I'm vegan. Thanks Jessica. My loaf came out moist with the banana flavor I was hoping for. I made one loaf and 9 muffins with the remaining batter that came out perfect baking for 43 minutes. I took a chance on making muffins and pleased with the results! Never know with new recipes. Glad I found your blog! Being vegan I made this without eggs. I used banana and my cake came out moist and slightly wet but absolutely delicious. I think I will use one less banana next time. Regardless, my family loved the good amount of banana flavor and crumb on top and so did I.